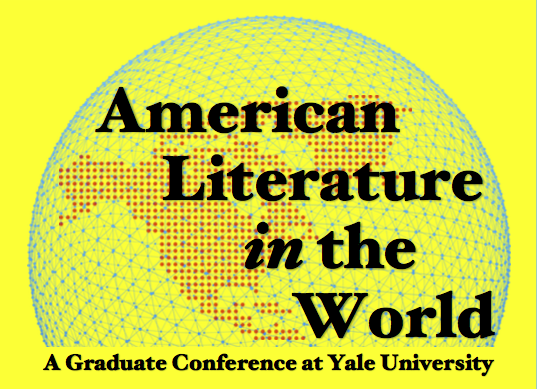 The conference hopes to broaden the scope of American literature, opening it to more complex geographies, and to a variety of genres and media. The impetus comes partly from a survey of what is currently in the field: it is impossible to read the work of Toni Morrison and Teju Cole, Bei Dao and Rita Dove, Tony Kushner and Lynn Nottage, Joan Didion and Ta-Nehisi Coates without seeing that, for all these authors, the reference frame is no longer simply the United States, but a larger, looser, more contextually varied set of coordinates, populated by laboring bodies, migrating faiths, generational sagas, memories of war, as well as the accents of unforgotten tongues, the taste and smell of beloved foods and spices. The twenty-first century is a good century to think about American literature in the world. But other centuries are equally fertile ground, as the writings of Anne Bradstreet, Phillis Wheatley, Margaret Fuller, Walt Whitman, Herman Melville, Sui Sin Far, Gertrude Stein, Zitkála-Šá, William Carlos Williams, Frank O’Hara, Audre Lorde, and Gloria Anzaldúa make abundantly clear. To study these and countless other authors is to see that the United States and the world are neither separate nor antithetical, but part of the same analytic fabric. Our conference explores these extended networks through many channels: from the cultural archives circulating across the Atlantic, Pacific, and Indian Oceans as well as the Caribbean Sea; to the dynamic interactions between indigenous populations and those newly arrived; from the institutions of print, to the tangled ecologies of literature, art, theater, music, and film, to the digital globalism of the present moment. In addition to the paper panels, conference attendees are also invited to a slate of related events: a reading on Thursday, April 4, by poet Danez Smith, whose collection Don’t Call Us Dead was a finalist for the National Book Award; a research workshop with Sara Powell, Research Services Librarian at the Beinecke Rare Book and Manuscript Library; and a publication workshop with Robyn Creswell, Assistant Professor of Comparative Literature at Yale University, Editor-at-Large for Poetry at Farrar, Straus and Giroux, and Poetry Editor Emeritus of The Paris Review, and Anna Shechtman, Senior Humanities Editor at the Los Angeles Review of Books and Managing Editor of Post45. The conference will conclude with a keynote by Kate Marshall, Associate Professor of English at the University of Notre Dame, presented in collaboration with the English Department’s Americanist Colloquium. The conference is supported by the Beinecke Rare Book and Manuscript Library; the Graduate School of Arts and Sciences; the Creative Writing Program; the English Department; the English Department’s Americanist Colloquium; the American Studies Department; and the African American Studies Department.